If your kid needs an extra dose of energy after school, at summer camp, or just while playing at the park, then CLIF Kid has your back with their new delicious whole grain protein bars. 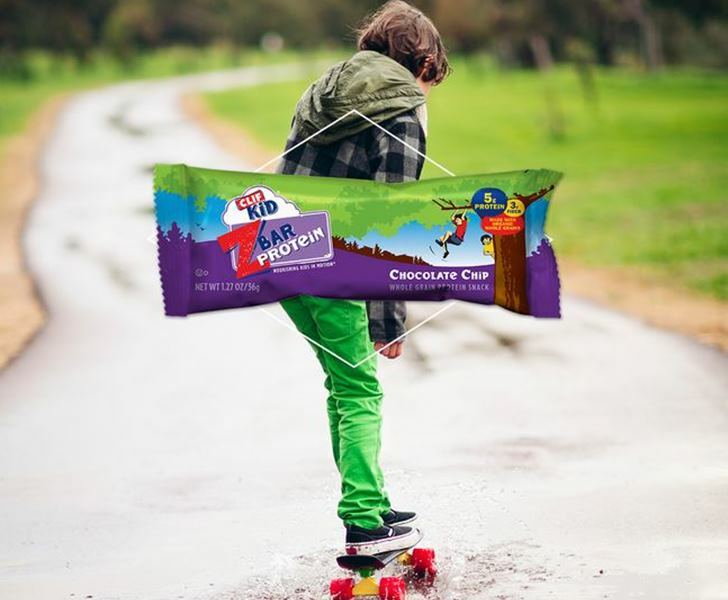 CLIF Kid Zbar Protein Bars provide 5 whole grams of protein along with 3 grams of fiber, so your kiddo can keep on zipping and zooming along. Beyond an extra smack of protein, CLIF Kid Zbar Protein Bars are certified Kosher, made with 70% certified organic ingredients, are an excellent source of calcium, and are a good source of vitamin D, iron and zinc. Plus, like all CLIF Kid products, the new protein bars DO NOT contain icky stuff like partially-hydrogenated oils, high fructose corn syrup, synthetic preservatives and artificial flavors and trans fat. Currently, Clif Bar & Company is committed to sourcing ingredients that are not genetically engineered (GE) in all of their products. So when hungry, lagging kids come asking for a snack, hand over one of these protein bars, available in three lip-smacking flavors: chocolate chip, peanut butter and chocolate mint.